The Ambassador Hotel coming back to life? Downtown Jacksonville's hotel development boom picks up steam as a new proposal to bring back the long abandoned Ambassador Hotel materializes. 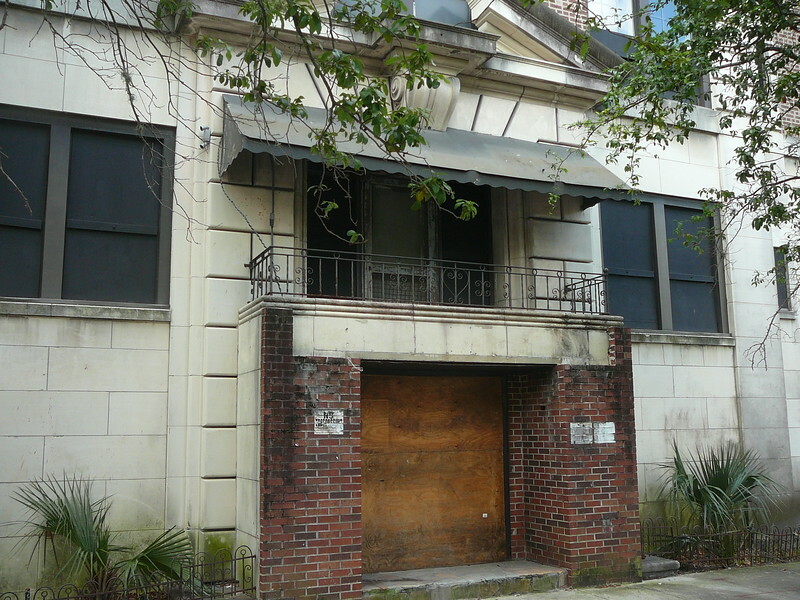 Completed in 1923, the 310 West Church Street Apartments was said to be Jacksonville’s first big downtown apartment building. In 1943, it was converted into a hotel by Charles Griner, a personal friend of Ed Ball, executor of the DuPont Estate. 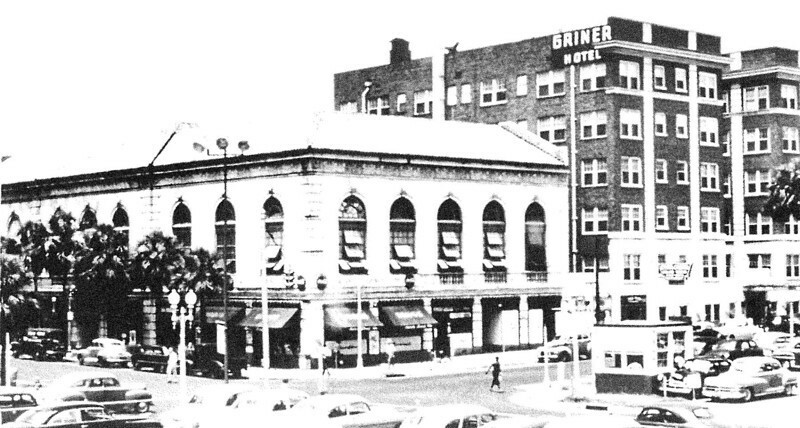 Following Griner’s death, Ball advised his widow Doris to demolish the Ambassador Hotel building. 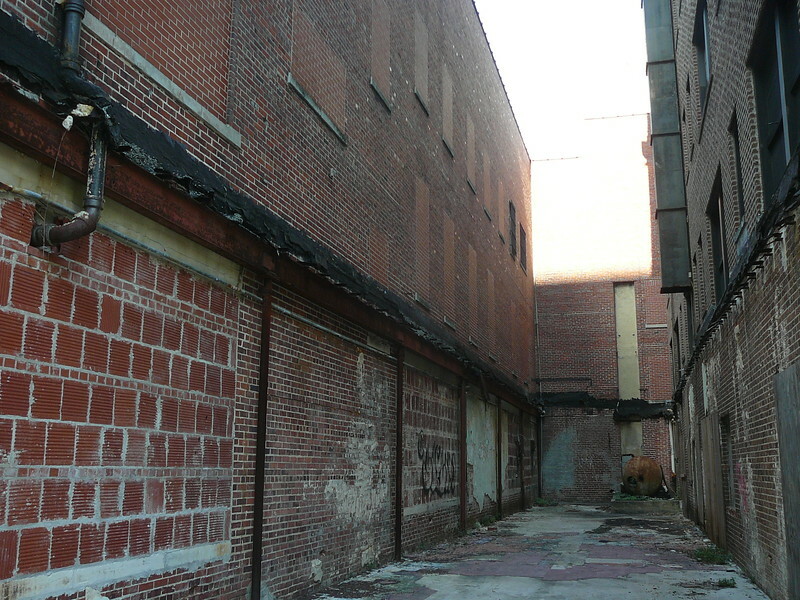 She objected because she felt they had already torn down every other old hotel in downtown. Today, we can thank Doris Griner for being a visionary. Associated with St. Augustine-based Augustine Development Group, Axis Hotels, LLC. recently acquired the historic property that was condemned and shut down in 1998. The $5.4 million deal includes the hotel and 1.5 acres between Church, Pearl, Duval, and Julia Streets. Axis plans to renovate the Ambassador Hotel into a four or five star, 100-room boutique hotel with a rooftop bar. The hotel will be managed by Integrity Hospitality. In addition, 404 North Julia Street will be demolished in order for Axis to construct a new building with 200 apartments and 15,000 square feet of retail space next door. 404 North Julia Street and the Ambassador (Griner) Hotel during their better days. Altered beyond recognition, 404 North Julia Street was once a beautiful building. Originally a massive Mediterranean Revival style structure completed in 1927, this building was the home of the Jacksonville Chamber of Commerce and then the Merck Drug Company before it was radically altered by the Marine National Bank in 1957. In 2001, First Alliance Bank purchased Marine National Bank. Two years later, it acquired EverBank, an online bank with $250 million in deposits. The company later adopted the EverBank name and is now known as TIAA Bank. A report by the Jacksonville Business Journal mentions the demolition permit application could be submitted as early as this month. Orlando-based SMC Construction has been selected as the project’s general contractor. The Ambassador Hotel project is the latest for an area in the midst of a hotel development boom. Other hotel projects proposed or underway in Downtown Jacksonville include a Courtyard by Marriott at the Laura Trio, a Hotel Indigo at Bay and Laura Streets, a Residence Inn by Marriott in Brooklyn, AC Hotel by Marriott at the District. Conceptual hotel proposals include sites related to the Jacksonville Shipyards, Berkman Plaza II, Sister Cities Plaza and the Old city hall/courthouse convention center location.